It’s almost 14 years since ABS-CBN matinee idol Rico Yan died. It was during Holy Week in March 2002 when news broke that the actor died in Palawan while he was on a vacation with friends. A lot of issues and speculations have surfaced that involved his then girlfriend Claudine Barretto. It has also been quite some time since things have been patched up between the actress and the late actor’s family. 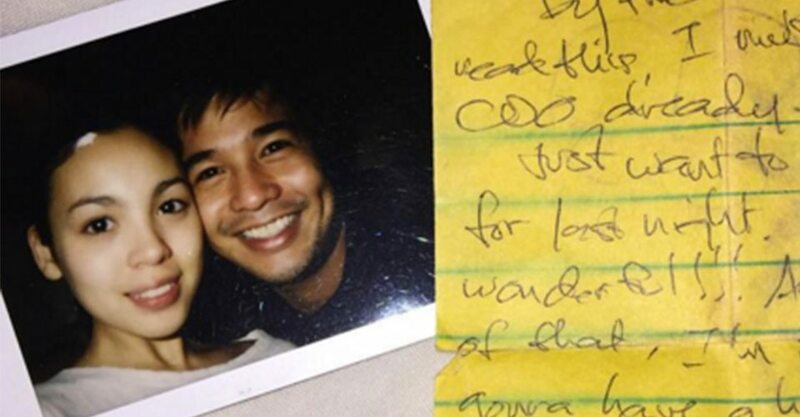 Yesterday, Claudine openly expressed how she misses the late actor. She posted an old photo of her with Rico including a short love note from her then boyfriend. Rico’s sister Tina Yan is tagged in her post.